This week’s newsletter is about purpose, ambition, and work. The basic premise of the podcast is to build out an understanding of how to get rich without getting lucky, but I think it’s more useful as a tool to think about purpose and decision-making around your career. There are obvious benefits to a salary but those are generally well understood and heavily emphasised by society. So let’s leave it there for now. He also touches on the need to decouple inputs from outputs, some of his best engineers only work a few hours a day and he’s okay with that because they have an outsized impact in a short amount of time. He’s measuring output, not input. But what I personally find most interesting is the idea of the Internet broadening what a career can be. The Internet has massively broadened the possible space of careers, by allowing you to scale any niche obsession. Before the Internet there was no way to find all the people in the world who were interested in your obsession. Now you can. Escape competition through authenticity—when you’re competing with people it’s because you’re copying them. No one can compete with you on being you. Before the Internet, this was useless advice—now it’s a career. @benthompson via Stratechery (and the entire existence of Substack, the service I’m writing this on) are great examples of how the Internet has enabled niche content to grow into real, sustainable businesses. It’s exciting that regardless of what you’re into, chances are there are thousands to ten of thousands of people who are into it, too. Alongside Naval’s podcast, I’ve been listening to two podcasts that are at different ends of the spectrum when it comes to ambition. The second is the Indie Hackers podcast which is filled with episodes with successful founders of bootstrapped businesses. Indie Hackers is a fascinating place filled with people who are anywhere from trying to get their first customers to $100k+ MRR. While $100k+ MRR is nothing to laugh at, it’s certainly not at the same level of ambition as trying to colonise Mars. And that’s okay. In fact, I think it might be the way we get to Mars. What I mean by that is people tend to grow in ambition over time and successes, and it’s great to have content for both audiences. Just because people are bootstrapping their SaaS product doesn’t mean they won’t be trying to build the next Blue Origin in five years, if all goes well. 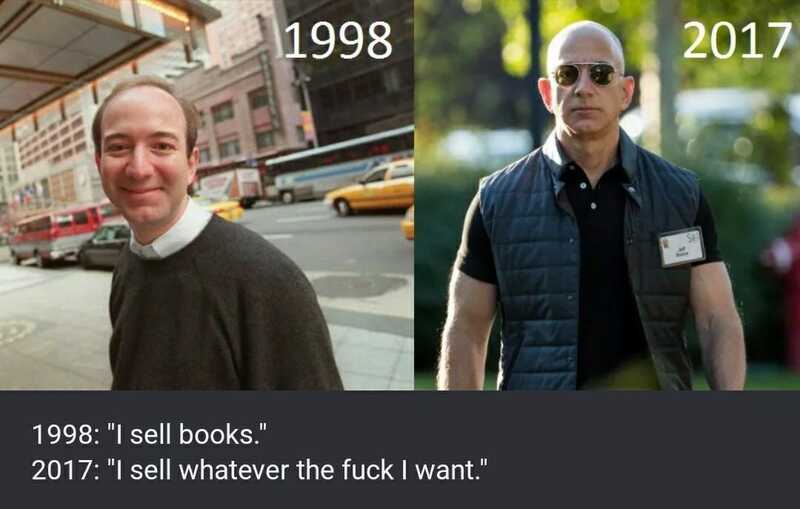 Just look at Bezos. One of my favourite books is by @claychristensen, Harvard Business School professor and author of the highly influential books The Innovator's Dilemma and The Innovator's Solution. But while I love those books, I think his (and @jamesallworth and @KarDillon’s) best work is How Will You Measure Your Life? The book takes what you learn in The Innovator’s Dilemma and The Innovator’s Solution and turns the focus from business to life. How can I be sure that I find happiness in my career? How can I find happiness in my relationships? How can I be sure that I live a life of integrity? Even if you don’t read the book, it’s worth your time to have a think about these questions. "The trap many people fall into is to allocate their time to whoever screams loudest, and their talent to whatever offers them the fastest reward. That’s a dangerous way to build a strategy." – @claychristensen, @jamesallworth, and @KarDillon. Flick me a note with anything you’d like me to explore next.